Friday afternoon as I was sightseeing in London with my familly, we have seen Mr Shiz (a Body painter, Graffiti artist and Airbrush artist.) he was just in the phase of finallizing it’s last creation. 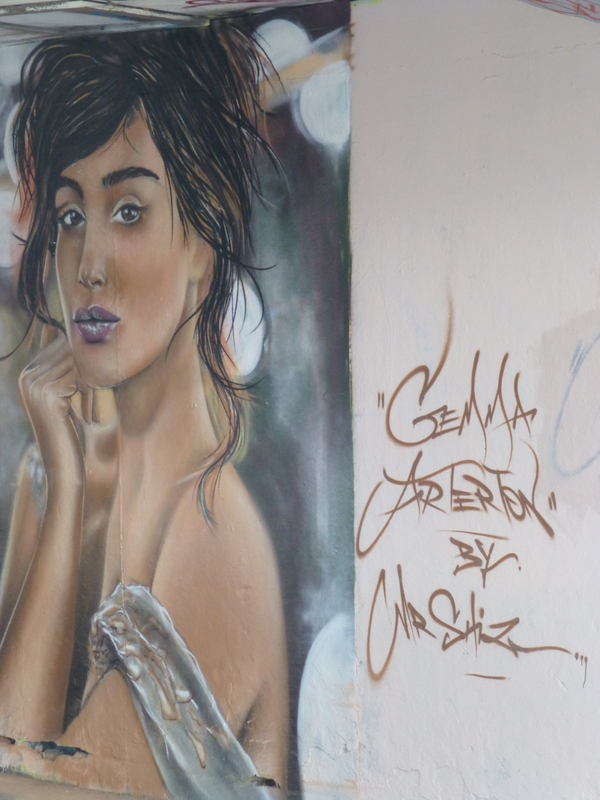 As you can see, he has painted actress Gemma Arterton in London Southbank.